Adopting a tailored bronchitis diet could help to treat some of the causes of bronchitis and maybe go towards helping sufferers to feel more comfortable. Bronchitis comes in two forms: acute and chronic. Bronchitis is an inflammation or obstruction in the bronchial tubes (the airways leading into and out of the lungs). The inflammation results in a build up of mucus and along with coughing, fatigue and difficulty breathing it makes for a pretty unpleasant condition. Acute bronchitis is usually the result of an initial infection that has weakened a person, like a cold or virus. 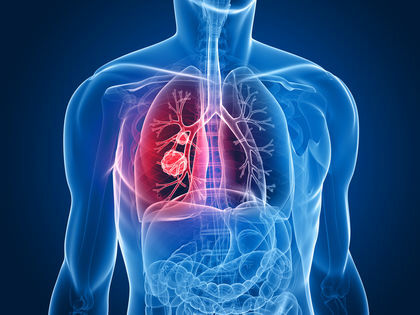 Chronic bronchitis is usually the result of long-term smoking. In some cases it can be the result of some long term working conditions or other environmental factor. Which Foods Make A Good Bronchitis Diet? All of the above supply vitamin A, which is known to increase lung health. The combination of the above foods will enhance lung health and help lung conditions such as bronchitis and asthma, as they contain nutrients that have anti-inflammatory effects and boost the immune system. These herbs all help to clear bronchial passages, reduce inflammation and ease lung congestion. Important Note: consult a specialist before taking herbs or combinations of herbs as some have side effects or can complicate previous conditions such as high blood pressure or heart conditions. Add moisture to the air using a humidifier or a bowl of water placed on a radiator. Rub eucalyptus oil on the chest to help sleeping at night.